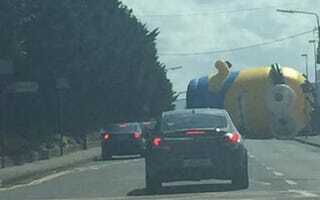 Minion Plays in Traffic. Drivers Terrified. Dammit, Archnemesis_Goldenhair! Control your kid, would ya?